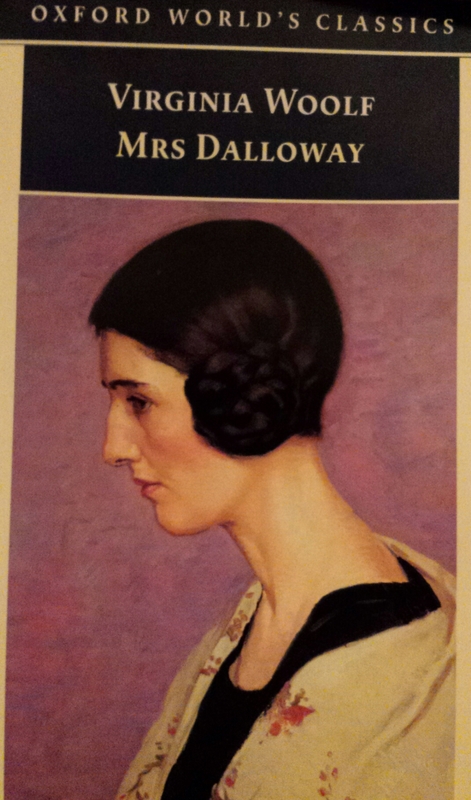 I recently wrote a review of Mrs Dalloway that was far from flattering. A number of people strongly disagreed with my view that it is a totally boring book. Indeed, some felt so strongly that the article prompted the first nasty comment on bloggingaroundmybookcase! One of the things I most love about the book blogging world is the diversity of opinions and so, in the spirit of fair play, I’m delighted to share below a guest blog from a great friend of mine who, for the reasons outlined below, loves the book. I still stand by my opinion, but I think Angharad may tempt some of you to pick up the book and decide for yourself. This is also the first guest blog we’ve had, so it is all very exciting. If you want to see more of her writing, have a look at her fascinating and whimsical blog on life as an expat in Washington DC. Take it away, Angharad! When I open Mrs Dalloway again (and again, and again) to experience with her that crisp, London summer morning (yes), ‘fresh as if issued to children on a beach’ (yes), I’m drawn into her world. True, Clarissa Dalloway is a silly woman, with only the triviality of a party to think about, but her love of life (yes), and of the flowers for her party (yes), and of her daughter and old friend Peter (yes) make me love her. They say that James Joyce was the first to experiment with stream of consciousness (oh yes),* that style that lets a reader encounter a character’s thoughts unmediated by a narrator, that situates a reader directly in the character’s mind to hear the whole of their thoughts in real time. But Joyce wasn’t alone in these experiments. Although Woolf’s prose is ostensibly free indirect speech (or thought) this novel truly presents Clarissa’s consciousness, within the stream that is London life. London is important to this novel. I once attended a Mrs Dalloway walk, where we followed the characters’ routes through West London (initially at the same time, in roughly the same quality of light, as Woolf had imagined them walking those streets) and we paused to read aloud passages from the book. It came alive, and I fell in love with Clarissa and Peter and London all over again. Mrs Dalloway is one of the first (or one of the best, anyway) examples of a novel set entirely in one day – Big Ben relentlessly booms the hours as they pass, while we live with the characters, back and forward through the more elastic, subjective time of their memories. Clarissa remembers how, before she married her husband, the member of cabinet, she loved Peter – who is that day back in London – and her old friend Sally – loved in what way? Why pigeon hole… And of course, she reaffirms her love for life – for living. As much as Clarissa loves life, death is ever present in this novel. Clarissa’s weak, fluttering heart reminds her that she lives on the verge between life and death. In London that day there is another character on this verge, though he exists more in the world of the dead. Septimus Smith is shell shocked, unable to control his consciousness, and the reader is propelled with him back into the world of war, and into the realm of the dead – his old comrades encountered as the wraiths of Achaean warriors were revealed to Odysseus in the Underworld. ** When I teach Mrs Dalloway, my students always seem to prefer Septimus. They want to read about war and death… But Clarissa Dalloway wants there to be flowers. A death invades Clarissa’s party. But it does not spoil the whole. Because, among many reasons, Elizabeth, Clarissa’s daughter, rode a London bus that day. She took a seat on top. The impetuous creature – a pirate*** –started forward, sprang away; she had to hold the rail to steady herself, for a pirate it was, reckless, unscrupulous, bearing down ruthlessly, circumventing dangerously, bodily snatching a passenger, or ignoring a passenger, squeezing eel-like and arrogant in between, and then rushing insolently all sails spread up Whitehall […] She was delighted to be free. The fresh air was so delicious. It had been so stuffy in the Army and Navy Stores. And now it was like riding, to be rushing up Whitehall; and to each movement of the omnibus the beautiful body in the fawn-coloured coat responded freely like a rider, like the figure-head of a ship […] Oh she would like to go a little farther. Another penny was it, to the Strand? Here was another penny then. She would go up the Strand. Tags: book, book review, books, guest blogging, Mrs Dalloway, Virginia Woolf. Bookmark the permalink.